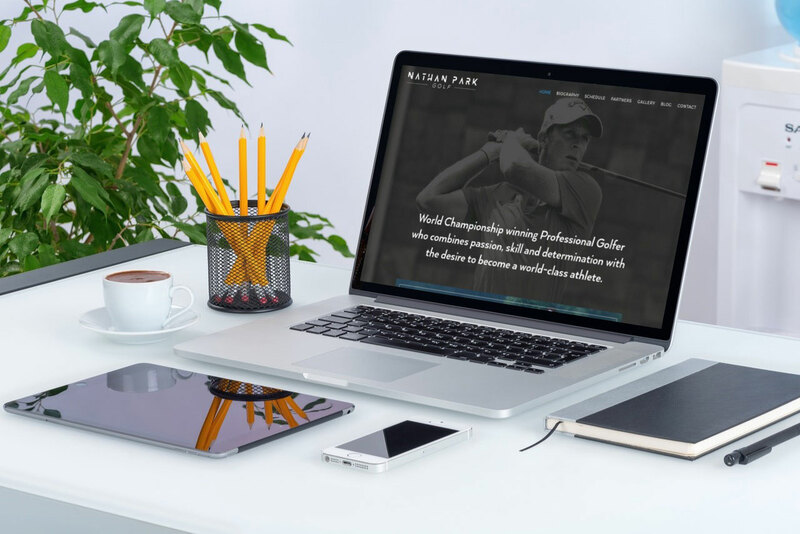 Jen Mulligan Design worked with Nathan Park, a professional golfer to develop a polished personal brand and coordinated website to help attract sponsors to continue his professional golfing career. Jen worked with Nathan and his team to develop a striking brand complete with a clean, modern logo and sleek look and feel. Jen also designed an A4 size brochure for Nathan’s current sponsors to display with a clear message and bold black and white design. Nathan’s new website has a clean and simple design that provides a wealth of information about Nathan and his history as a professional golfer. The website is based on the content management system WordPress and is responsive to accommodate for viewers using tablets and phones to view the website. Jen Mulligan Design worked with Nathan and his team to design a clean and modern logo and an eye-catching flyer to further promote the Nathan Park brand. Nathan requested a logo design that wouldn’t date but also fit the sporting industry using an example of the Nike logo as inspiration. Using a logo based on typography only ensured that the logo was kept simple and modern but with slight changes to the letters to generate interest and to keep it unique. 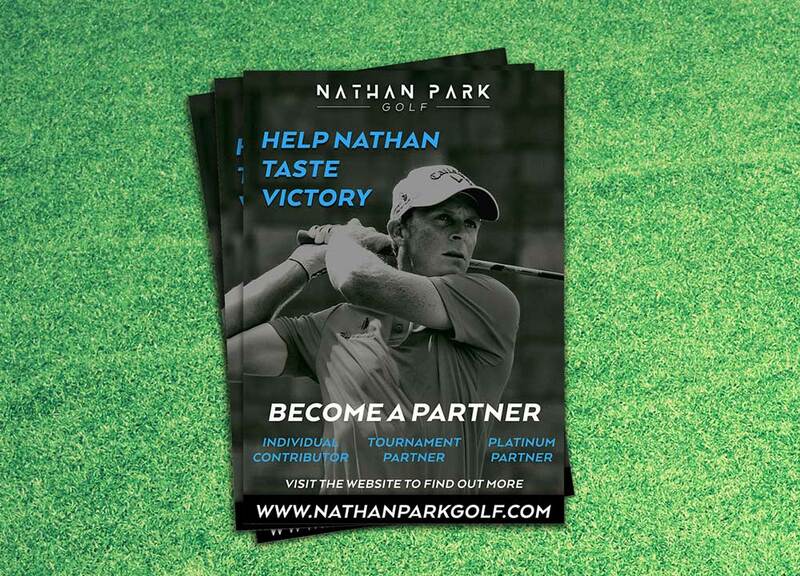 Jen Mulligan Design also designed an A4 flyer to promote Nathan’s career as a professional golfer. This flyer included Nathan’s professional photos and incorporated his new logo and branding elements. As well as a black and white colour palette.